Weslaco East's Ramsey Vasquez, right, carries the ball against Manor in a game at Alamo Stadium on Saturday, Sep. 1, 2018, in San Antonio. 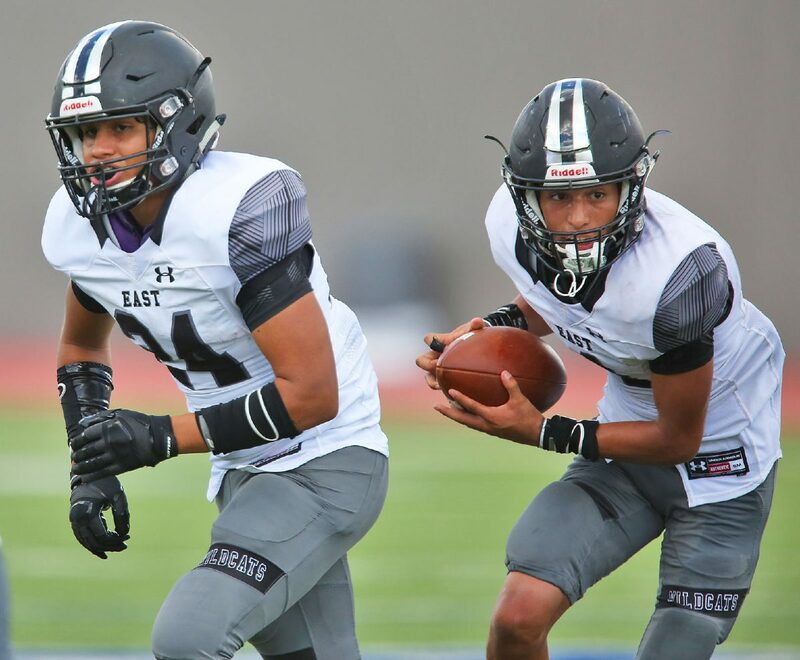 Weslaco High was left with a bad taste in its mouth after suffering its first loss of the season to No. 1 Edinburg Vela in Week 7. The SaberCats held the Panthers to a first quarter touchdown and nothing more. The Panthers’ performance casted some doubt as to whether their high-powered offense was as powerful as previously thought. The No. 6-ranked Panthers put those doubts to bed in a 75-3 win at Donna North last week thanks to 655 yards of offense and six players accounting for nine touchdowns. Visit RGVSports.com for the rest of the poll.